As you know that Windows 8 has been launched now you need software that will work with Windows 8. Media Centre is vital software for video recording and as a media player in which you can perform functions like organize your images, videos and music, recording live television and more. Microsoft has officially announced their new versions of office suit named Microsoft office 2013 and cloud based office 365. These versions will particularly come with windows 8 tablets and PC. Microsoft is a leading company in the world, has announced only preview version no pricing is announced until the final versions are available in the market. You love Window phone because of surprising easy-to-use interface and an advanced mobile phone OS from Microsoft. Now it just got better with its new recent update of 7.5 Mango. Microsoft said it has added more than 500 new features to its new update but what is the advantage since you are not able to set ringtone from your Zune Music Library in Windows Phone 7 and now with Windows Phone 7.5 you can set your custom ringtone but not from your Zune Music Library ringtones will be added to your ‘ringtones+sounds’ section in your settings. MS word provides you plenty of functionalities to make your work easy and fast. 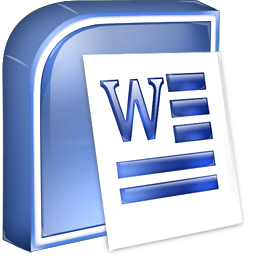 Many of you must be having adept knowledge in Microsoft Word as it is frequently used but still there are some useful tools which may be highly helpful to you and you might not be aware of that . One of them is the AutoCorrect Options which is not visible in the menu bar and is used to correct typos and misspellings as they occur. As most of the Microsoft Windows applications developments are based on .NET Framework it has now become very essential to install .NET Framework on our personal computers. The latest .NET Framework 4 was released on April 12, 2010, alongside Visual Studio 2010. The buzz of launching of windows 8 is over as Microsoft came up with the official release of the developer preview version of Windows 8 during the BUILD developer conference. This is the pre- beta version of windows 8 and it detailed developer tools essential to write applications for the Windows OS family. Thus, it is still not safe to run on production system. The all new Microsoft LifeCam Cinema 720p HD-Webcam is a 720p HD web cam which captures true HD videos at up to 30 FPS. Microsoft has released Xbox Avatar Kinect which let you chat with your friends in interactive way using your avatar. This chat forum allows you to chat with up to seven other friends.